The Bogner Fire + Ice Hank Insulated Ski Jacket has a style motivated more by the professional park skiers of tomorrow than the Olympians of yesteryear. 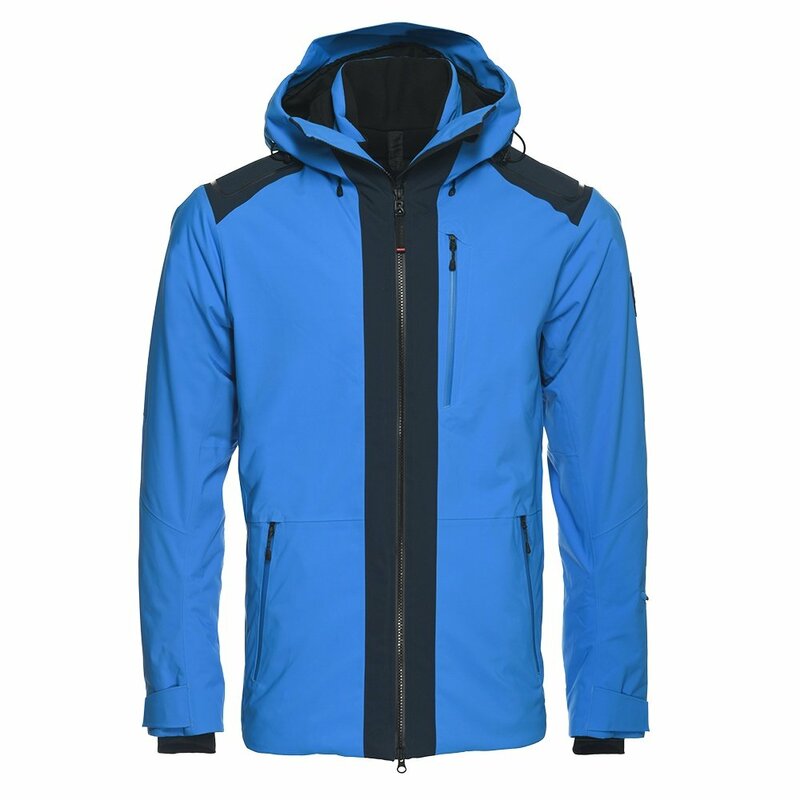 This masculine jacket has a solid-color design and contrasting-color color block front zipper, perfect for guys who live on the slopes all weekend. In addition to having fully taped seams and waterproof zippers, it has a 10K waterproofing rating for moderate snow and rain. And because Fire + Ice knows no one wants to stay inside just because the temperatures are in the single digits, the Fire + Ice Hank Insulated Ski Jacket has 80g of insulation on the core to easily keep your whole body toasty.